The Princeton area Girl Scouts had a special treat on Monday, January, 16, when they met the Dr. Jane Goodall of the Jane Goodall Institute after attending a Smart Talk event at the State Theatre. The Girl Scouts presented her with a commemorative 100th Anniversary Princeton Camporee bandanna, and several varieties of their signature Girl Scout cookies! community service and making the world a better place for people and animals. 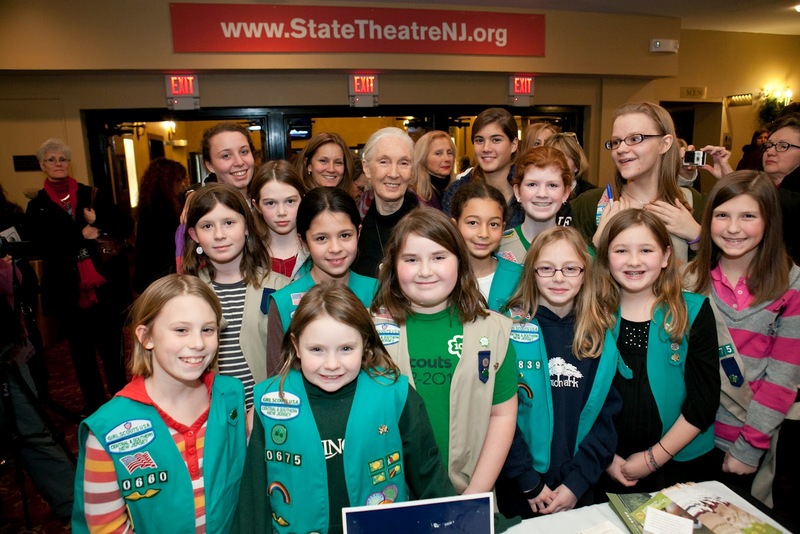 The Friends of Princeton Nursery Lands in Kingston, New Jersey partnered with the Girl Scouts for this program.